Drought map courtesy U.S. Drought Monitor. SAN FRANCISCO (KGO) -- It's official-- the Bay Area is out of drought. In just the past week, the entire Bay Area has had enough rain to come out of drought completely. According to data compiled by the United States Drought Monitor, the last time we were out of drought was January of 2018. The entire Bay Area has been lifted out of a drought thanks to recent rains. As encouraging as this sounds, the Bay Area still needs more rain this winter to stay out of drought. 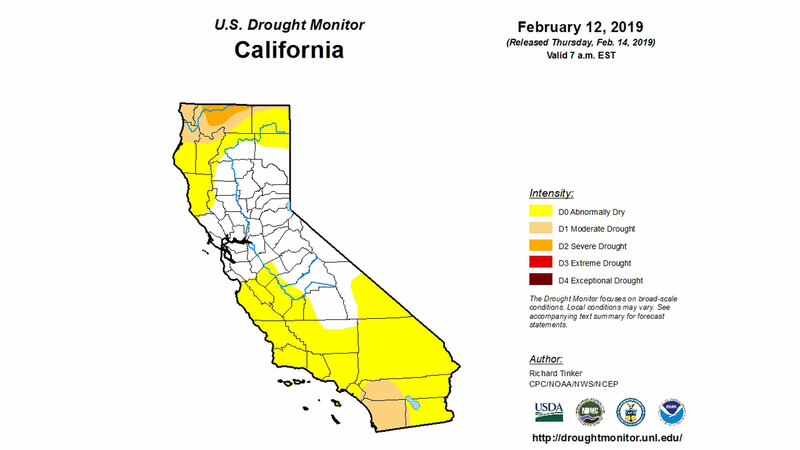 You can take a look at the U.S. Drought Monitor's map here. Check out more stories and videos about the drought.